11/16/2018 9:15:18 PM[Sticky] Server Selection starts November 19th! Over the last month you've joined us in our third major community event. Whereas the Free Kingdom of Elyria was primarily focused on a single server, and the Searing Plague revolved around a single event in history, Map Voting will have a permanent, lasting impact on the future lifetimes of all servers. We trust you enjoyed the Map Voting event as much as we enjoyed running it! Now that the intrigue, discussions, and memes (can't forget those!) have subsided, it's time for the team to tally up the results and prepare for what comes next. There is still a lot to be excited about on the horizon! Results from Map Voting will be announced! Our November store promotion launches! 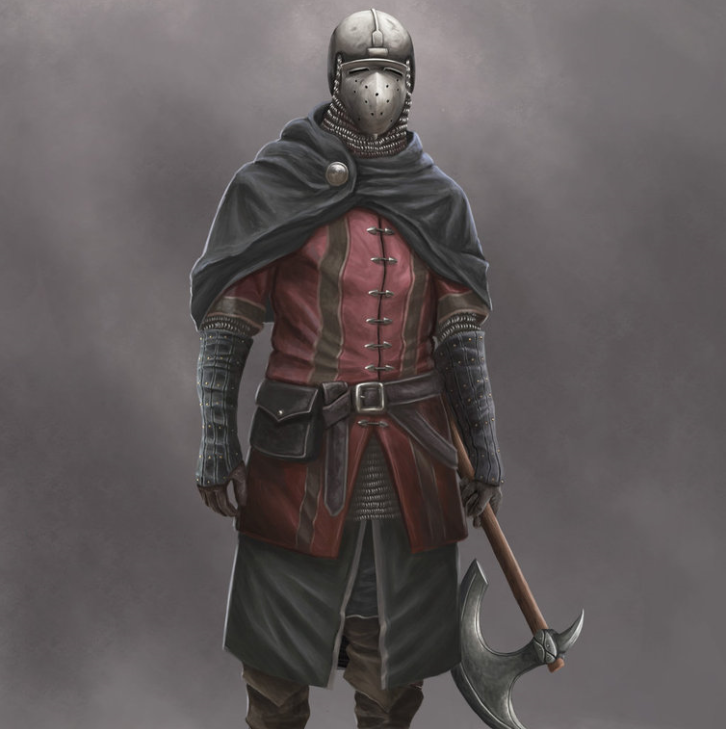 Locking in your server doesn't prohibit your ability to generate alts to play on different servers, but it does determine where your first character, your Bloodline will begin their adventure and prepare your account (and us) for Domain and Settlement Selection. Any titles you possess will also be bound to that server, which means that the domains associated with those titles will only be able to be chosen on that server. Note: All items that were part of your Bloodline+ package that is bound to your account will get locked to the server you select once you complete this process. 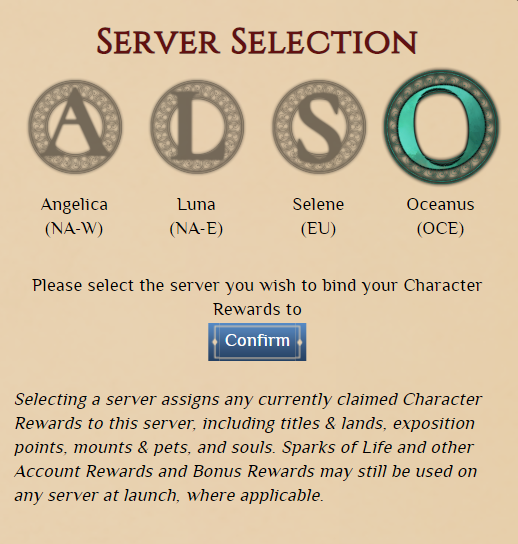 In specific, items in your package including titles & lands, heraldry, exposition points, mounts & pets, digital items that came in your packages, any items purchased with EP, and soul packs, will all bind to your server. All items that were not part of a Bloodline+ package bound to your account, Sparks of Life, or any items you have purchased through store promotions will not be locked to the server you select. Read on to learn more about how to select your server and what effects will take place once you specify your server. Why lock to a server? There are benefits to you as a player and to us as a studio. 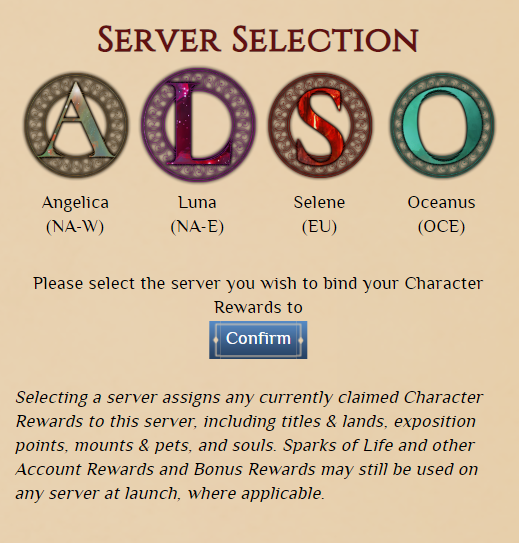 Step 4: On the following popup, you will see 4 letters indicating the 4 servers of Elyria: Angelica (NA-W), Luna (NA-E), Selene (EU), and Oceanus (OCE). Click the server of your choice and it will light up. The unselected server letters will be dark. Once you've selected and verified the server of your choice is highlighted, click the CONFIRM button. If you are unsure of your decision or want to cancel this process, simply click outside of this box or the X in the top right corner. 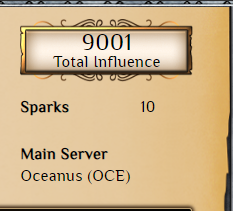 (This image shows what it would look like if we selected the Oceanus server). If you are not 100% positive of your decision to lock your bound package to the server you selected, click the "No - Go Back" button. 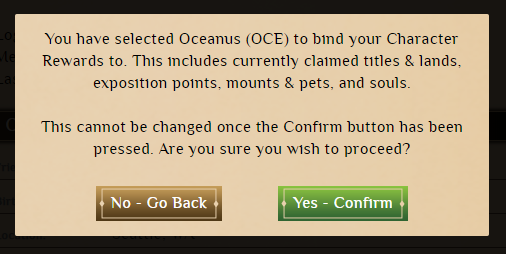 If you are 100% sure you want to lock your Character rewards on your bound package to the server you selected, click the "Yes - Confirm" button. WARNING: This is your final chance to change your mind. Once you click the "Yes - Confirm" button there is no going back. This process cannot be reversed, no matter the reason for the request. 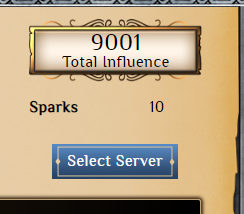 Step 7: Upon returning to your account management page (by clicking the "Back To Account" button as shown above), you should see the server your package rewards are bound to under your influence and sparks, rather than the blue button that was there previously. That's it! Following these simple steps will bind your package rewards to the server of your choice, and you are all done! While we still need to go and breathe life into the worlds you've voted for, you have chosen the skeleton which will be animated by the adventures of hundreds of thousands of players over a decade or more. It's unfortunate that our tiny little team cannot shine a light large enough on this event to really make people understand what has occurred here. You as a community have played a pivotal role in the future of your worlds. You've not only molded the sand, you've shaped the sandbox. With the various sandboxes shaped, next week, along with the Map Voting Results and our November Promotion, players will have the chance to declare their sandbox and jump in! And from all of us here at the studio to you, thank you again for not only helping to make this dream a reality, but for being a part of it. We hope enjoy your weekend and look forward to an awesome start of the week with you! awesome stuff, as always, great work SBS. nice!, keep up the good work! Might wanna correct the typo in the screenshot. Should be "server selection" unless we are selecting whose heads we are severing! "Promotion, players will have the chance to declare their sandbox and jump in!" Jump in do that mean? Swordwalker sends up his flying monkey to shout from the sky "Server selection is COMING".